Sharecropper Ned Cobb, a.k.a. 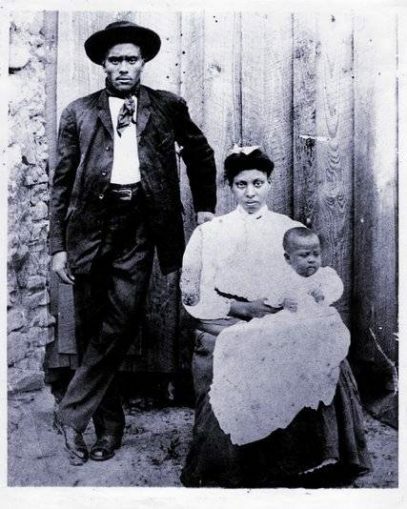 Nate Shaw, at 22, with his spouse, Viola, and their son Andrew, in 1907. Cobb was a member of the Alabama Sharecroppers Union, organized by the ACP. The Scottsboro Nine with their lawyer from the International Labor Defense, organized by the CPUSA, around 1932. Women welders in Mobile, Ala., shipyards during the 1940s. An earlier version of this article originally appeared on Dec. 14 in The Forge, a socialist newspaper for the South (theforgenews.org). In 1990, Dr. Robin D.G. 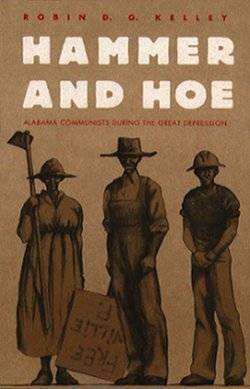 Kelley published the phenomenal book “Hammer and Hoe: The Alabama Communist Party 1928-1951,” documenting the 23-year history of the Alabama Communist Party, a chapter of the Communist Party USA. Formed and molded by Black sharecroppers and laborers such as Black revolutionary Hosea Hudson, the ACP went above and beyond fighting for the rights of laborers and workers, Black and white, to the rights to housing, food and equal pay. The eventual dissolution of the ACP was brought on by the Red Scare, the Ku Klux Klan and reactionary politicians in Alabama. But it is important to understand that it took the collective effort of the local and state white supremacist government to bring down the organized party of mainly Black laborers and workers, and that it took over two decades to do. This alone proves the resilience of these revolutionary Southerners. Though initially skeptical of a communist party in the South, the CPUSA, along with other communists all over the United States, eventually had to eat their words. Despite threats often carried out by racist pigs, by 1934 the Alabama Sharecroppers’ Union [SCU]was composed entirely of Black laborers and had a membership of 6,000 people, the largest of any Black union in the South. The SCU was developed and maintained by members of the ACP until its dissolution shortly after 1936, though by that point its membership was at 10,000. Some of the notable victories of the SCU were the raise of wages per 100 pounds of cotton on some plantations in Alabama to 75 cents in 1934 (roughly $13 a day in 2017), as well as the stopping of evictions of Black and white workers who were tenants of petty-bourgeois, racist landlords. 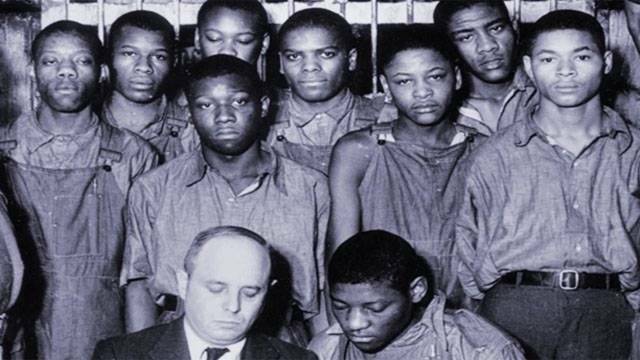 Perhaps most notably, the ACP was instrumental in the handling of organization among rank-and-file communists and other workers in defense of the Scottsboro Nine, a case in which nine Black youth — Haywood Patterson, Clarence Norris, Charlie Weems, Andy and Roy Wright, Olin Montgomery, Ozie Powell, Willie Roberson and Eugene Williams — were arrested and falsely accused of sexually assaulting two white women on a train in 1931. It was later revealed that the women were forced by police to testify that the youth had sexually assaulted them or else they would be arrested themselves. An all-white jury found them all guilty and eight were sentenced to death. The ACP and the International Labor Defense, a communist-led legal advocacy organization, rallied behind the youth and spread the word throughout the South and eventually made national headlines. In the end, eight of the nine young men were freed or paroled, all due to the work of the ACP and ILD. The formation of the ACP could not have come at a better time: In Birmingham, Ala., in 1910, the cost of labor was so cheap that 80 percent of people in Birmingham earned under $500 a year [$13,070 in 2016 dollars], while the 1% made $35,000 a year [$915,655 in 2016 dollars]. This was possible because of the cheap labor of Black workers who were (and still are) paid less than white workers. Even though, in 1910, Black men made up 55 percent of coal miners in Alabama, and 65 percent of ironworkers in Birmingham, Black men were also over 90 percent of Birmingham’s unskilled labor force. By 1920, Black women made up 60 percent of workers, 87 percent of whom were involved in domestic work. By 1930, two years after the formation of the party and one year after the stock market crash, 16,000 Black women worked in domestic services and by 1935, at least 8,000 Black women were registered in the Alabama Employment Services. The wages that Black women made historically were even less than those of Black men, with Black women working longer hours for just $1 or $2 a week, which comes out to $48 or $96 a year [$702 and $1,405 per annum, as of 2016]. At the height of the Great Depression, Black people, especially Black women, made so little money that they often only had enough for rent and ate whatever leftover food that domestic working women could secure from the homes they worked in during the days and nights. After World War I, the price of cotton plummeted, and despite the increasing debt of Black planters and harvesters, who could hardly afford to get by as it was, the available land where cotton was planted and picked was greatly reduced, causing landlords to evict these planters and harvesters off their land with nowhere to go. This allowed white landowners in Alabama, who had, through the long-existing white supremacist system, acquired land, animals, food, seeds and other implementations for their fields, to “lease” land, food, equipment and shelter to anyone looking for work. Since the largest percentage of those unemployed were Black people, that was the largest group that would become workers for the landlords and planters. This essentially became a new, legal form of slavery that sidestepped the already flawed 13th Amendment to the U.S. Constitution. White landowners exploited and squeezed all the money and resources they could from these Black workers for little or no pay, and up until the formation of the ACP, no one could do anything for fear of retaliation by the police and the KKK. This, along with the day-to-day, systemic racism, caused an intense wave of fear to constantly linger over the heads of Black workers, but nevertheless, they continued to organize anyway, organizing strikes and organizing their own communities. In a few cases, they successfully rallied Black and white workers together, creating a very rare form of solidarity that even now can break the tightest chains of the bourgeoisie. White workers were unorganized and many were swept up in the racist, fascist rhetoric of local bourgeois governments and the Ku Klux Klan. Thus, the fight for higher wages and better working conditions fell on the shoulders of Black workers, who were studying and organizing their own communities to lead the way for a socialist revolution in the South. As early as 1931, Black women led relief committees for their communities. These committees did everything from raising money for families who were short on rent to physically going out to public outlets and appropriating electricity from those outlets for the homes of people who had their power shut off. Though in its time the Alabama Communist Party was a force to be reckoned with, it ran into its own internal problems. In 1938, the communists allowed themselves to work with liberals and Democrats, mainly due to the declining strength of the Farmers’ Union, which had previously been associated with the Sharecroppers’ Union. Additionally, continuous threats from the KKK and local governments had stamped out many prominent communist organizers and fronts. Some were beaten, some were forced to leave town, and some were murdered. Because of this, a few radicals began to believe that radical sharecroppers, farmers and laborers could infiltrate the Democratic Party and turn it into a radical communist party. This strategy, known now as entryism, is not compatible with revolutionary movements because oftentimes, the organization or party which the infiltrators are attempting to breach has already gained a considerable influence and the people in charge of it are steadfast in their views. Unfortunately, at this point, the ACP was beginning to waver in strength and influence among Black radicals, and so many believed that entryism was an acceptable strategy. In 1938, Alabama communists teamed up with local Democrats and liberals to organize the first Southern Conference for Human Welfare, a conference that promoted bringing New Deal ideas into the South immediately. The long-term goal of the ACP was to form a United Democratic Front. SCHW was already controversial in the planning stages because of its commitment to call for a repeal of the poll tax, which prevented most poor workers, especially Black workers, from being able to vote. But in the early stages of planning, the local government accused the conference of being a façade for a communist conference, which caused liberal leader Frank Graham to name six communists in the conference. By 1939, members of SCHW were calling for the expulsion of anyone they thought was a communist at their annual conference. Once again, liberalism submitted to reactionary politics and radical Black communists were the ones who suffered. What liberals did not anticipate, but what the reactionary bourgeoisie wanted, were the lasting effects this would have on industrial labor in Birmingham, with its centralized labor system. Between 1939 and 1941, 50 anti-union bills were introduced in Congress, tightening the grip on trade unions and skilled and unskilled labor in Birmingham’s industries. Leading the witch hunt in Birmingham was U.S. Rep. Joe Starnes, who began making McCarthy-like accusations (though McCarthyism would not take grip for another few years) that the Congress of Industrial Organizations in Birmingham was filled with communists. This of course caused backlash from the very religious communities, who doubled down on their anti-communist attacks, allowing unions to be controlled by reactionary behaviors and views. This continued so intensely that even the liberals who had taken the side of the reactionary right were forced to retreat into silence. The ACP abandoned any hope it had for a Southern Democratic Front. By the early 1940s, however, with many liberals disillusioned and Black radicals and nationalists growing in numbers, the ACP began to grow again, despite a major blow to its ranks in the heat of the proto-McCarthy years. The ACP turned away from New Deal liberals, who had very little concern for Black workers, laborers and farmers. They began to grow their own cadres, even resurrecting an idea brought up earlier in the party’s history: to form a Farmer-Labor Party and put their own candidates on the ballot. This party would support proletarian internationalism and massive domestic reform that would eventually become a socialist system and a revolutionary force in the deep South. One of the strategies that the new members took, along with some of the older comrades, was to begin publishing propaganda aimed at rural workers and farmers who supported them without using the word “communism” or any variation of it. This task was led by Joe Gelders, a longtime communist and party member. The end result was the Birmingham “Southern News Almanac,” which made its debut on Jan. 25, 1940. This strategy was effective. The SNA discussed labor struggles, anti-war activities, the blooming Civil Rights movement and police brutality, all without ever revealing its ties to the ACP. The few Marxist preachers who existed in the South were regular contributors who took a unique approach to Marxism by explaining greed, poverty, capitalism and racism through biblical terms and references. This would become the most widely received propaganda for communism in Alabama and perhaps the Black Belt itself. The resurgence in Alabama was a side effect of a national resurgence in the Communist Party itself, but the exponential growth in Alabama was nothing short of extraordinary. Unfortunately, the party’s resurgence and rededication to the liberation of Black workers and an end to wage slavery would be cut short in 1941, when Nazi Germany invaded the USSR. The national CPUSA headquarters immediately turned from campaigns for self-determination for oppressed groups within the United States, to anti-Hitler campaigns, and all or most chapters followed suit, including Alabama. At this point, the ACP had so many prominent members who had formed their own organizations, or who were dedicated to other organizations (such as LYS: the League of Young Southerners), that the party went back underground, the same underground it had come up from in the early 1930s. In 1949, the CIO betrayed the ACP. It passed directions down to expel anyone suspected of being a Party member. This led to the State Industrial Union Council, National Maritime Union and the International Union of Mine, Mill, and Smelter Workers voting to expel any and all suspected members. In 1950, the Birmingham city council, working with the KKK, passed a city law banning the Communist Party’s activities, and in 1951, the Alabama Communist Control Law was passed, requiring all party members and communist front organizers to register with the Department of Public Safety or face a fine of up to $10,000 and a prison sentence. This act would cause the ACP to formally disband, with many of its members fleeing the state altogether to avoid capture by the KKK. In its 23-year history, the Alabama Communist Party organized four generations of mainly Black workers, farmers and laborers to come together to fight oppression and capitalism, support each other and show international solidarity with struggles all over the world. It did almost all of this underground or behind the scenes. But when it was direct, it struck fear into the minds of all reactionary, racist capitalists who sought to keep alive the decaying system of capitalism. So much fear that it took the government intervening to bring it to a halt. 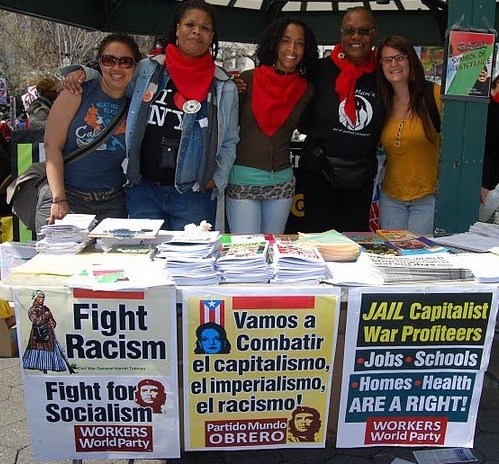 The ACP was a revolutionary party not just because of its revolutionary intentions, which is to say, the revolutionary goals of communism, but revolutionary in that it is probably one of the greatest examples in the U.S. of a rural, revolutionary, Black-led cadre. There were no “big city” or otherwise petty-bourgeois persons with considerable experience who had major influence on the formation and maintaining of the party. It lasted over two decades in that rank-and-file formation which won them many victories, even in the face of perpetual reactionary violence. As is the case with all parties, there were errors made, some of which had lasting effects, such as its repeated attempts to work with bourgeois liberal leaders and groups while not focusing on spreading propaganda to working-class liberals. This would serve as a major error in later years when members started being expelled from these groups. One of the main reasons behind the readiness to work with liberals is having to deal with the defeat that is “reform,” which masks itself as a permanent solution, but as history has shown us, is nothing more than an ill-fitting band-aid on a growing wound. 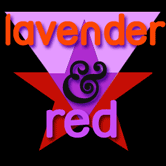 However, not all lessons learned are negative, though many in this instance are born from negative experiences. In the continuation of reactionary violence against Black workers, what the reactionaries wanted was retaliation from Black workers so they could advance attacks under the guise of being “threatened,” similar to what police do now (and have always done). Black people were already hunted and lynched, but Black workers unionizing and embracing communism had to face that threat at an even greater volume. However, instead of retaliating aimlessly, Black workers organized endlessly, often in secrecy, to sustain their own communities and fight off Klan members and the state government. The lesson here is that even in the face of what seems to be ceaseless reactionary violence and spineless liberalism, a disciplined, structured cadre is what will see revolutionaries through. As communists, we understand and utilize self-defense; when the oppressed rise up against the ruling class, it is always in self-defense — self-defense from being exploited and killed off further, but even then in these instances, it must be disciplined. Practice cannot be carried out without theory and theory cannot be understood without practice; to try and advance one without acknowledging and studying the other will either lead to inaction or counterrevolutionary, ultraleft violence that will no doubt have a severe backlash on the most oppressed. The Black sharecroppers, farmers, domestic workers and miners of the ACP and the masses they organized and rallied largely understood this. 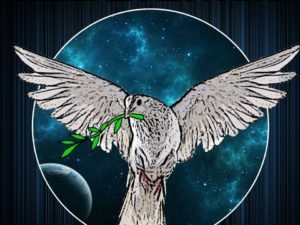 In such a violent climate, it was a key to their 23-year survival, at which point the only way they could be permanently shut out as an organized party was by state intervention by way of anti-communist legislation. Despite errors, this does not in any way negate the revolutionary history and legacy of the ACP. 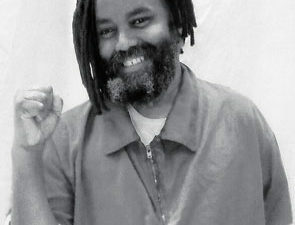 At a time when Black people, especially Black workers, were being treated with extreme hostility and their nearly every move was being watched by local government and the KKK (though the two were and still are often indistinguishable), they managed to organize themselves into a disciplined force fighting for revolutionary socialism, starting in their own self-sustained communities and moving outwards, showing national and international solidarity with all labor and oppressed movements. This form of communism, which could appropriately be called rural communism, is a movement that needs to be studied intensely by all communists. It is a prime example of the rural working class, almost all of whom were Black, gaining the class consciousness that is needed to fight for socialism and organizing their class into a mobile movement against capitalism and white supremacy in an extremely reactionary climate and point in history. Though the Alabama Communist Party was officially dissolved in 1951, the fighting spirit of those revolutionary laborers and workers lives on in all of us proletarians. Long live the Alabama Sharecroppers Union! Long live the International Labor Defense! Long live the Alabama Communist Party! Devin Cole is a transgender Southern organizer and Workers World Party member. This article was originally published by theforgenews.org and can be found in its entirety at tinyurl.com/y8o6u4t2.